The sold-out crowd at Campbell Hall for this initial event of the Arts & Lectures winter season was happy and they knew it. How could you tell? They clapped their hands. 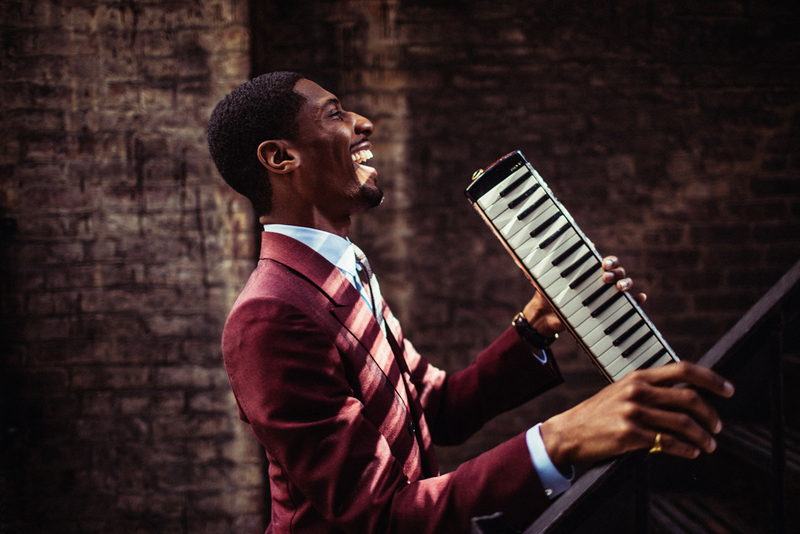 Although there were plenty of other opportunities to confirm the positive effect of Jon Batiste’s recent solo show on the lucky people who got to see it, none was more direct than how they responded to the bliss-inducing version of the classic children’s clap-along song that he conducted from the stage while playing the melody on his “harmonoboard.” Whether seated at a grand piano at center stage or roaming the aisles with his hybrid wind/keyboard, Batiste was profoundly at home ​— ​with his material, with the audience, and with himself. It’s no wonder that the soft-spoken, Juilliard-trained NOLA native has become such an integral part with The Late Show with Stephen Colbert, where he serves as music director. He radiates perspective, grace, and magnanimity ​— ​precisely those qualities so sorely lacking in the public figure that Colbert skewers nightly in his monologues. Between songs from his Grammy-nominated 2018 release Hollywood Africans, Batiste acknowledged the boost his role on Colbert’s show has given his career, and he also asked that we agree on this night to lay down the sword of satire and take up an attitude of acceptance and serenity. The result was something like the “love riots” that Batiste and his band, Stay Human, pop up to perform on the New York City subways. A loose and welcoming second-line-style promenade had students, professors, and everyone in between circling Campbell Hall in celebration. Batiste is clearly onto something. The trust he establishes through his presence complements his wide-ranging approach to music. So go ahead ​— ​clap your hands.